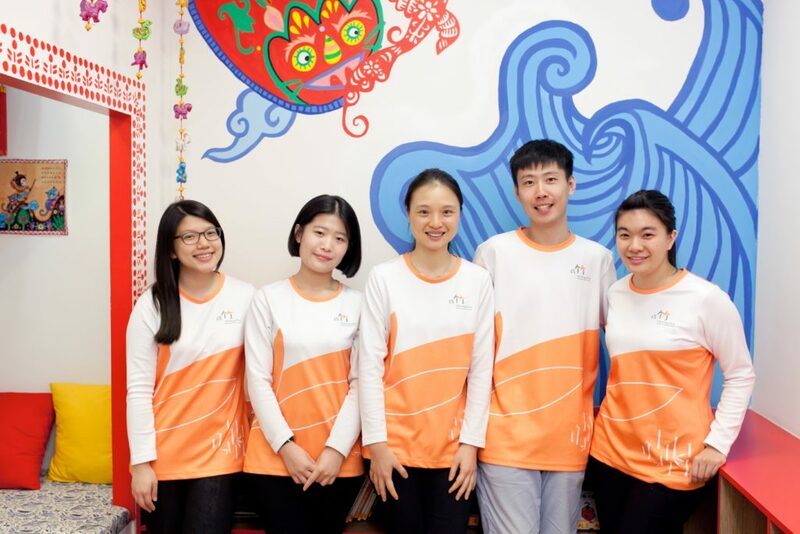 Our Kindergarten curriculum has been designed so that it merges our years of experience in high-quality preschool education and Mandarin teaching. The design of this programme enables children to explore and discover both the world around them and their talents and strengths. Activities are a mixture of child-led and teacher-led. Learning centres are planned so children have the opportunity to investigate, experiment, observe and apply their knowledge in order to develop a greater sense of themselves and the world around them. Our small teacher-to-child ratio provides ample opportunity for our teachers to work with each child individually. By getting to know the individual children and their families, the teachers are able to develop the strong relationships needed for successful preschool years. Our children are very lucky to have specialist teachers who visit the class each week to teach Chinese Cultural Arts, Speech and Drama and Music and Movement. Each of these teachers are specially trained in their area, giving the children access to arts-rich programmes which develop language, creativity and confidence. Children also have the opportunity to work with a wide variety of teachers and experts. Our highly qualified teaching team comes from Singapore, China and Taiwan. Many who are early childhood trained have been with us for more than 5 years. These extremely talented teachers also share the Julia Gabriel Education philosophy of engaging children using our EduDrama® methodology. For more than 25 years our EduDrama methodology has proven to encourage language development confidence and engagement. The Chengzhu Mandarin Kindergarten programme is designed to immerse the children in a language-rich environment. Our teachers are excellent language models and only speak Mandarin within the centre. Through speech and drama, songs, games, stories and engaging conversations, children are drawn into the activities and absorb the language. A systematic literacy scheme develops both reading and writing, enabling the children to be able to communicate through speech and writing by the end of their Kindergarten years. 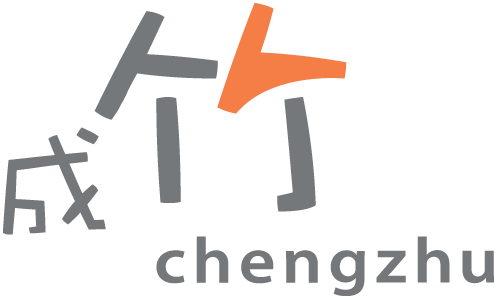 The Chengzhu Mandarin Kindergarten mathematics programme is in line with the learning outcomes stipulated by the Ministry of Education. Our maths programme provides children with repeated opportunities to practice, problem-solve and consolidate ideas and concepts. This will enable them to understand and apply their knowledge in a variety of situations. The children explore 5 strands of mathematical development which progressively increase in complexity as they move through their preschool years. These strands are: Numbers and Operations, Shapes and Space, Pattern and Function, Measurement and Data Handling. Children are also introduced to both Abacus and Mental Arithmetic, which have strong cultural significance in Chinese Mathematics. 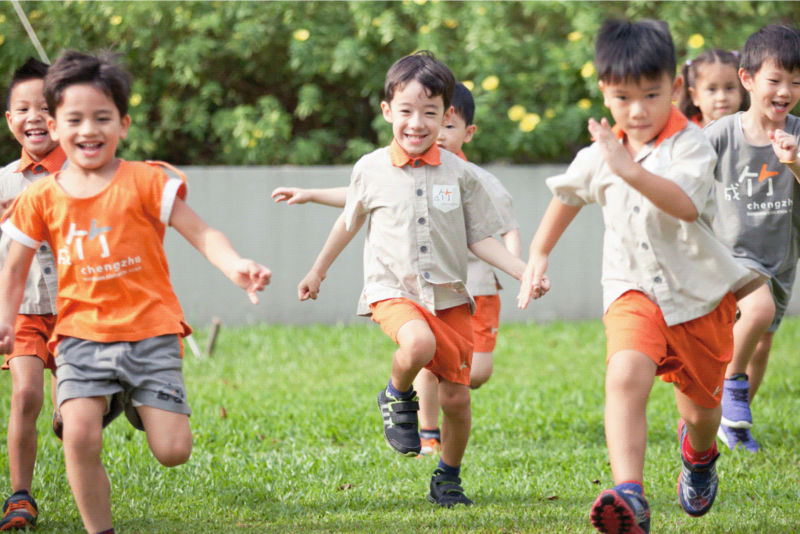 The Chengzhu Mandarin Kindergarten physical education curriculum has been specifically designed to provide an engaging and skills-based programme. Physical education focuses on the children’s development of gross and fine motor skills. The development of these skills play an important part in the child’s fitness, agility and co-ordination, and provides them with a natural context for social development. Physical education activities are held once a week where the children not only develop their motor skills; they also learn to co-operate in groups and to work in teams. The skills developed are further enhanced throughout the week as the children have fun in the playground. Our English curriculum is specially designed by curriculum specialists from Chiltern House Preschool. The daily one-hour sessions are only conducted at the K1 and K2 levels. The programme focuses on developing oral, vocabulary, reading and writing skills. Besides penmanship, there are many opportunities for children to develop their ability to express themselves through the written form. We encourage the development of writing for a purpose and creative writing − making lists, recalling events, expressing an opinion, describing things they have created, writing stories, etc. The variety of writing experiences create an interest and hunger for the learning of the English language.